With the continued emergence of new ways to interact socially, the demand for media coverage increases. As a result, balancing PR resources against your objectives while at the same time reaching your business goals can be a challenge. In this Q&A, Colleen Cleary, VP, Havas PR and a featured speaker at the PR News’ Media Relations Conference on Nov. 30 in Washington, D.C., offers tips on how to adequately manage time and resources. 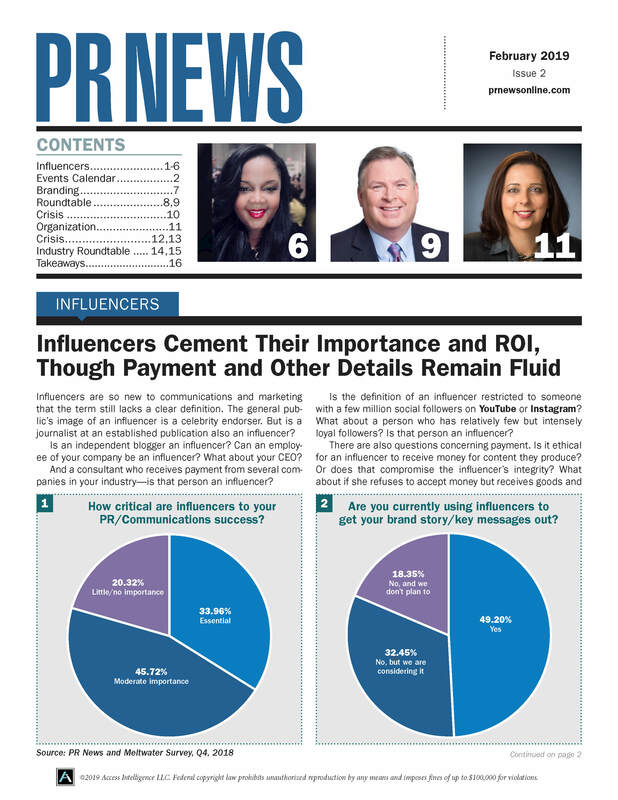 PR News: How are you using social networks to communicate with journalists? Cleary: We all know that one of the keys to pitching is to do your homework. We do that mostly by looking at the reporters’ past stories; but checking out what they are saying on Twitter is also a great way to start a conversation. We have a very active Twitter account, and as a group we often broadcast our clients’ achievements in the Twittersphere. We recognize the power of social media to help get their stories out—and though of course we engage in traditional media pitching, we want journalists to tune in to what’s happening via Twitter, Facebook, Pinterest, et al. In the age of Twitter, reporters and producers scoff at three-page press releases and four-paragraph pitches. Now more than ever it’s all about the elevator speech, the 140-character pitch. If you can’t get your point across with one paragraph, your pitch is likely to end up in the deleted items folder. PR News: You’ve been working hard lately on the Ford Warriors in Pink campaign. What have been some of your recent media coverage successes for that initiative? Cleary: We’ve had a great October for Ford Warriors in Pink. Our most exciting coup this month was an incredible segment on The Today Show that featured two of our Warriors in Pink Models of Courage, as well as actor James Denton, with whom we worked to create a special edition T-shirt. PR News: At PR News’ Nov. 30 Media Relations Conference, you’re going to be discussing time and resource management. Are you deploying team members differently than you were, say, three years ago? Cleary: Besides more time being spent on social-media related activities, not too much has changed, quite frankly. We believe in establishing strong and deep relationships with key media people, which nowadays often includes bloggers and other online influencers, so we continue to focus on improving our media relations offers across the board. We also feel that it’s important to divide and conquer media relations and pitching not by how junior or senior a person is but by their contacts and pitching strengths. PR News: In what ways have clients’ expectations of media coverage changed in the last couple of years? Cleary: I actually don’t know if clients’ expectations have changed as much as we as PR professionals think they have—or maybe should. So many in PR have focused so heavily on social media and blog communications that we sometimes forget the power that a mention in USA Today holds, or a segment on Good Morning America. Traditional media outreach is as important as ever, because it’s driving interest in a traditional sense, but it’s actually helping to drive social media conversation as well. PR News: What’s one key media relations takeaway you want to leave with conference attendees? Cleary: Over the past few years, the art of media relations has gotten lost in the shuffle of social media and experiential marketing. At the end of the day, we as professionals should focus our efforts on building a comprehensive and creative news engine as the cornerstone of any PR program. Once you have that, it helps the other pieces fall into place. To learn more from social media experts like Colleen Cleary, register to attend PR News’ Nov. 30 Media Relations Conference in Washington, D.C.